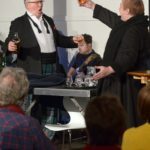 From ice-cream to seafood, the manager of one of Campbeltown’s three remaining historic distilleries has said there is ‘something for everyone’ at Campbeltown Malts Festival, even those not too keen on a dram. 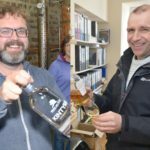 Iain McAlister, of Glen Scotia Distillery, spoke exclusively to the Courier on Wednesday, the first day of the 10th annual celebration of the whisky heritage of Campbeltown, an area once dubbed ‘the whisky capital of the world’ and one of the five traditional whisky-producing regions of Scotland. 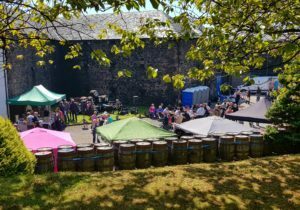 The distillery was inundated with visitors for its open day, which featured stalls, demonstrations, tastings and live music, with the sun beating down on those enjoying the outside attractions. The three-day festival takes place from Wednesday to Friday each year, with a day dedicated to each of the area’s remaining distilleries, Springbank, Glengyle and Glen Scotia. 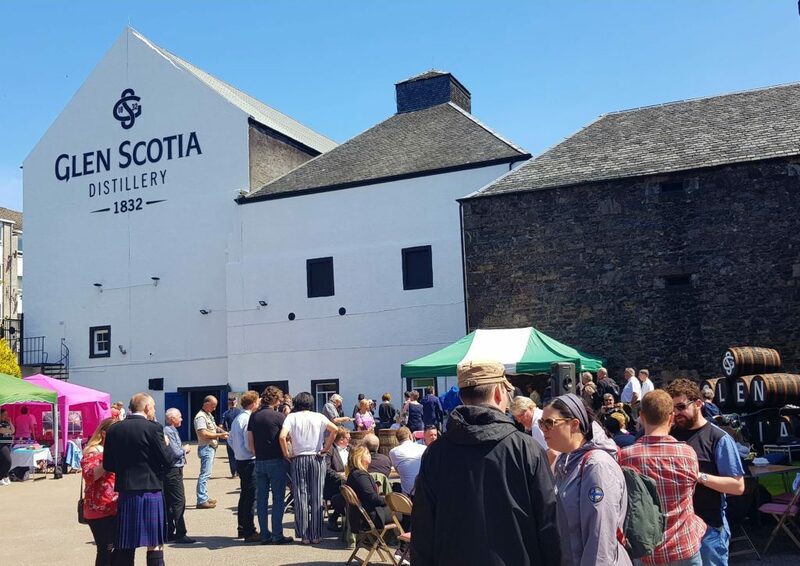 The sun beat down on visitors to Glen Scotia Distillery’s open day on the first day of the 10th annual Campbeltown Malts Festival.